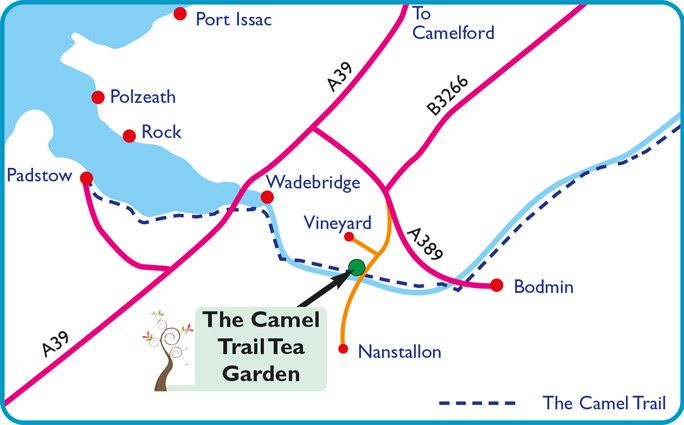 The Camel Trail Tea Garden is situated half way along the Camel Trail between Wadebridge and Bodmin. There is direct access off the Camel Trail for cyclists and walkers. Address: Nanscarne Nanstallon Bodmin Cornwall.